PC-6 Turbo Porter in amphibious form, underlining the versatility of this high-wing design. One of 25 PC-9s delivered to No 2 FTS, Royal Thai AF, based at Kamphaeng Saen. 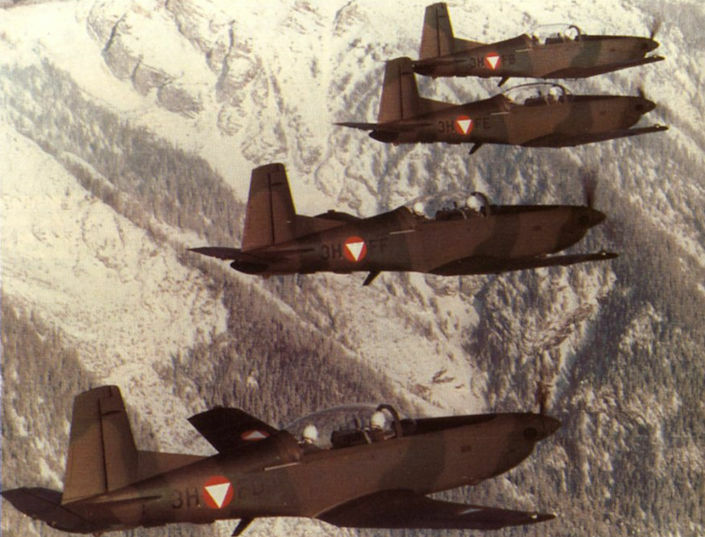 Four of 16 PC-7s in Austrian AF service. 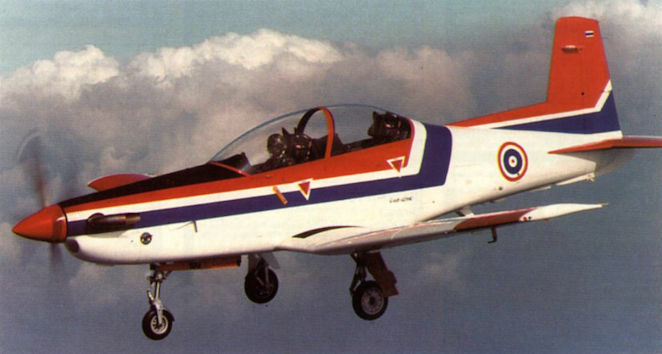 The PC-7 Mk II was designed for the South African Air Force and is the latest development in the PC-7/9 family to be built in Switzerland (the T-6A variant of the PC-9 is being produced, at present, solely in the USA by Raytheon). 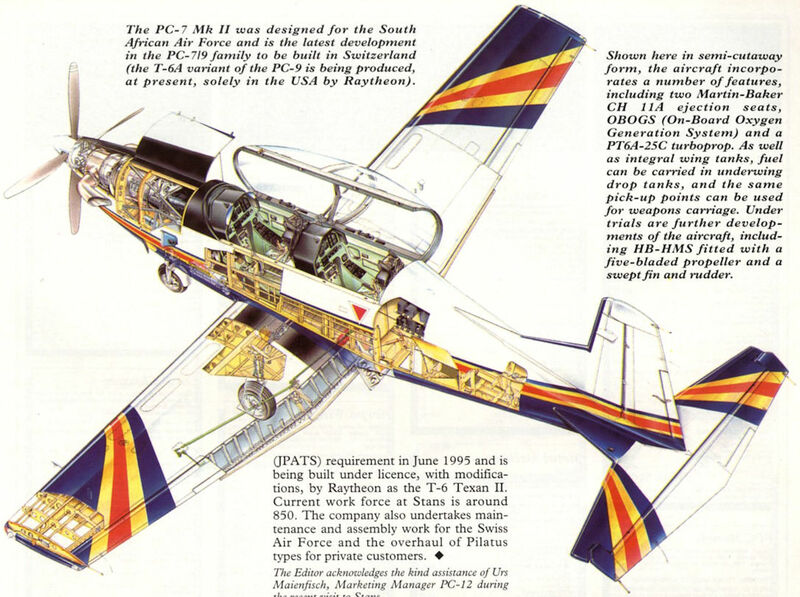 Shown here in semi-cutaway form, the aircraft incorporates a number of features, including two Martin-Baker CH 11A ejection seats, OBOGS (On-Board Oxygen Generation System) and a PT6A-25C turboprop. As well as integral wing tanks, fuel can be carried in underwing drop tanks, and the same pick-up points can be used for weapons carriage. Under trials are further developments of the aircraft, including HB-HMS fitted with a five-bladed propeller and a swept fin and rudder. The P-2 trainer, which used Bf 109 components.